Mollie is a popular fixture at Murrumbateman Winery, where dogs are very welcome. Photos: Glynis Quinlan. 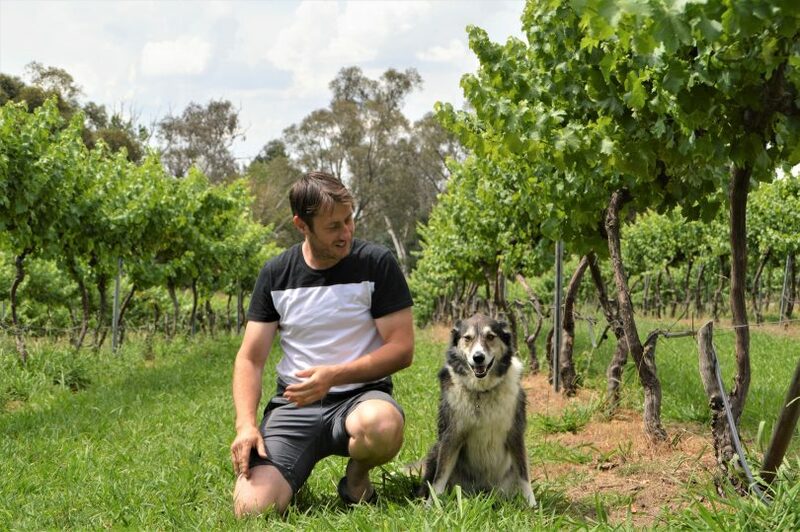 The joys of wine-tasting have taken on a new appeal for Canberra’s dog lovers who are increasingly taking up the opportunity to share the outing with their best friend. 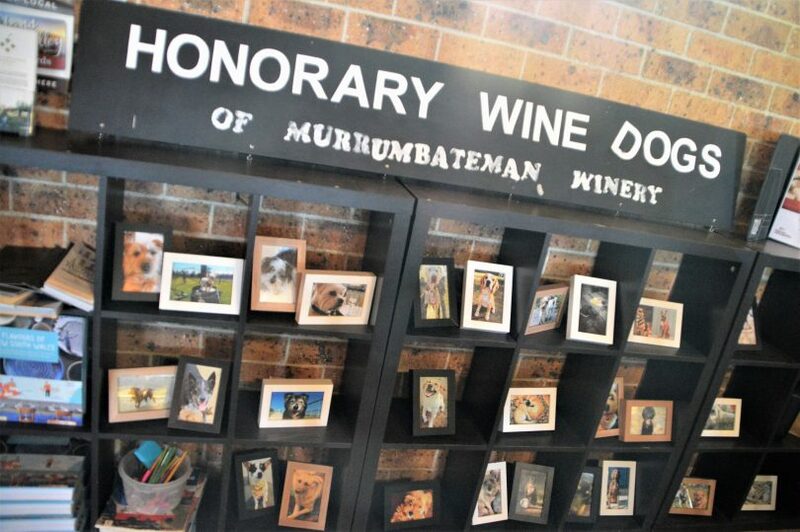 The owners of Murrumbateman Winery, just half-an-hour’s drive from Canberra, have combined their passion for wines with their love of dogs to create for visitors a pooch-friendly outing paired with a nice drop. Visitors are welcome to bring their dogs with them during normal opening hours and special doggie events are held several times throughout the year – sometimes attracting up to 50 dogs of all shapes and sizes. There is also a resident rescue dog ‘Mollie’ and two doggie-named wines – with a percentage of their sales going to support the RSPCA ACT. 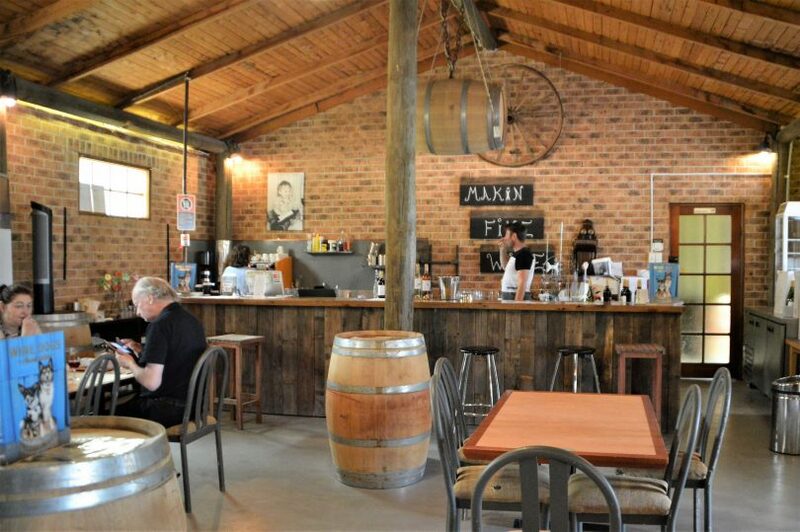 Murrumbateman Winery has a relaxed and friendly atmosphere. Staffer Kerrie Brotherton normally brings her own rescue dog Ava to work with her and says that Murrumbateman Winery is rare in the way it genuinely welcomes dogs. “There are so few venues in Canberra that welcome dogs – some tolerate dogs,” said Kerrie. Staffer Kerrie Brotherton normally brings her own ‘rescue dog’ to work. She said that there are 600 members of their wine club and most people know they can bring their dogs along and that there are toys for them to play with. Occasionally throughout the year, they will put on special dog days such as ‘Howling in the Vines’ which was held last Mother’s Day, the ‘Spring Dog Party’ on September 1 and a ‘Christmas Dog Party’ that was held on December 1. Kerrie gave the example of the Spring Dog Party which attracted about 40-50 dogs and their owners with the dogs ranging from the very small to one that was the size of a pony. “The first day of Spring we decided to have a dogs’ day and the weather wasn’t that good but this room was packed with people and tables and dogs,” recalled Kerrie. 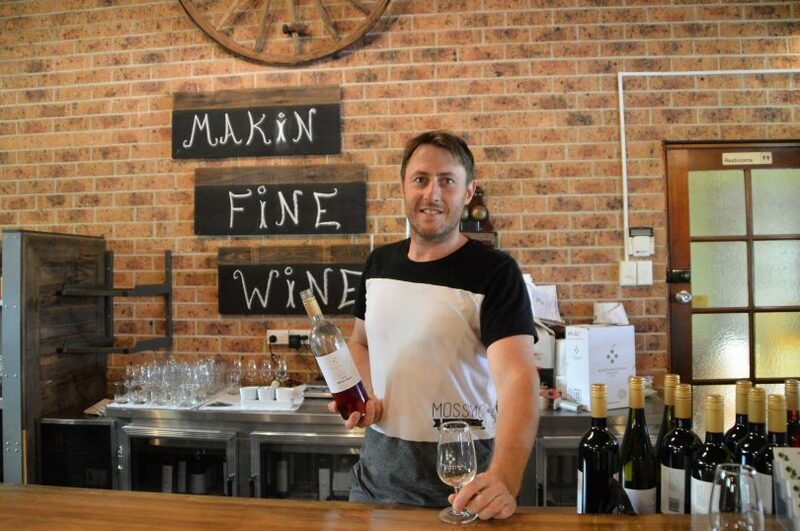 Murrumbateman Winery is a small-batch boutique winery, which combines traditional methods with ‘young passion and creativity’ to produce award-winning cool climate wines. Grapes growing on the winery’s vines. 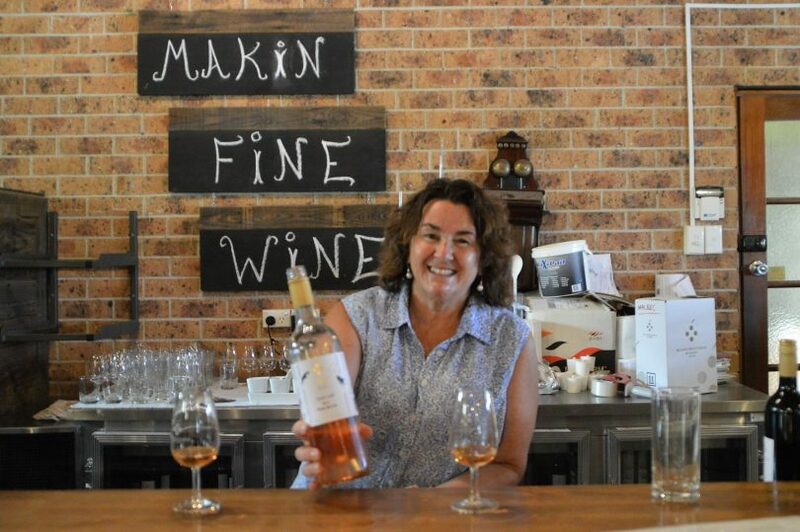 The winery’s owner and winemaker Bobbie Makin is clearly very serious about his wines but the winery has a relaxed and friendly atmosphere that makes it a pleasant place to visit with or without dogs. Owner and winemaker Bobbie Makin hosts some wine-tasting with his name behind him on the wall. Bobbie took Mollie on when she was just a puppy and she has made a happy home for herself complete with friends such as Ava and Tannin who are owned by staff members. Photos of Mollie adorn the walls – as well as promotional material – and there is also a photographic display of ‘Honorary Wine Dogs’ who have no doubt visited in the past. Photos of some of the dogs who have visited the winery. 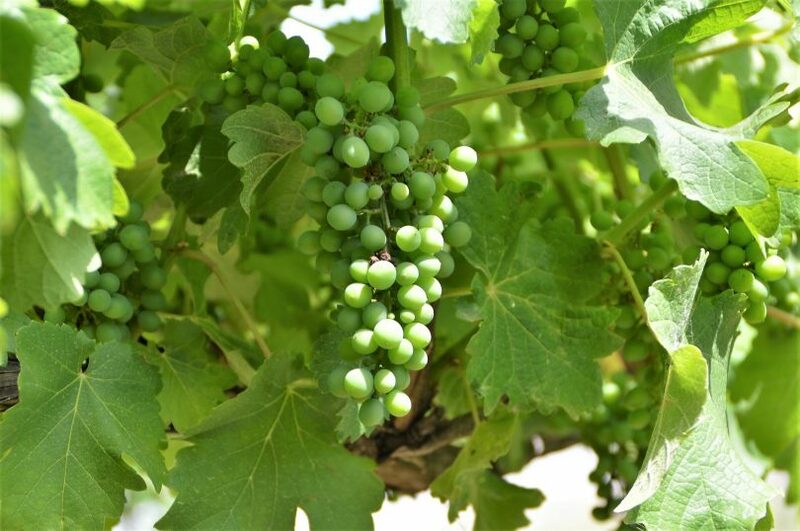 Murrumbateman Winery’s grapes are hand-picked by backpackers (who are a big favourite with Mollie) and there is wine-tasting at the cellar door, as well as a range of good-value food and coffee options on the weekend. Bobbie and Mollie among the vines. Click here for more details and to see the opening hours and here to see upcoming events. 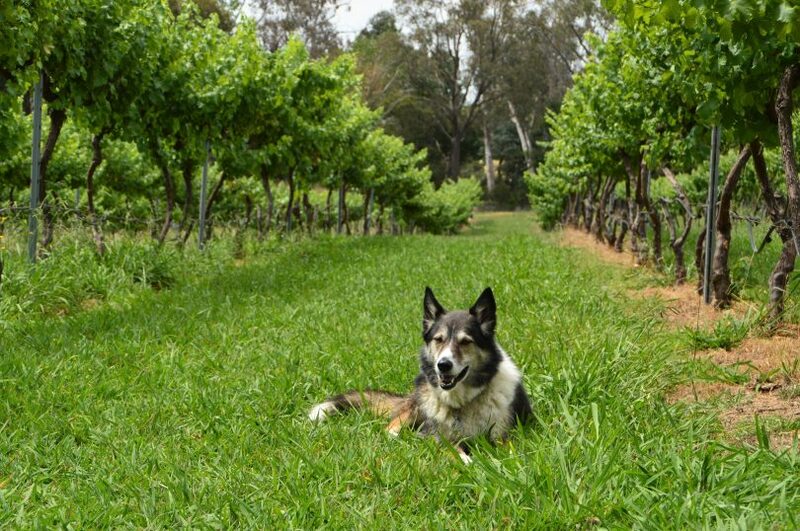 Do you think there should be more dog-friendly venues like Murrumbateman Winery? Let us know in the comments below.